Every year, some two million people visit Moscow’s Red Square, in the very centre of the city, to gaze on the preserved corpse of Vladimir Ilyich Ulyanov, better known by his adopted name: Lenin. This ghastly presentation was a fate utterly at odds with his personality – he was a deeply private man, with few close friends – and his ideological commitment to communism, which necessitated, in his mind, no hero-worship of any kind, but his successors in the Soviet leadership recognized that their entire claim to power and legitimacy rested on his public image. Lenin became the figurative grandfather of the first officially atheist country, to be invoked in the same reverential terms as any holy man. As the living situation in Soviet Russia deteriorated, a commonly heard condemnation was “Lenin would never have tolerated this” or “Lenin would not approve,” as if success depended on hewing closely to the man and his ideas. A variant of this myth has made its way to the West, in which the evils of Soviet Russia – the gulags, the censorship and repression, the night-time abductions – are blamed on Stalin: if only Lenin had lived, the thinking goes, things would be different. It is part of journalist Victor Sebestyen’s mission in Lenin, the first post-Soviet biography of Vladimir Lenin, to put an end to this canard. In the process, he offers us a compelling portrait of one of the 20th century’s most significant figures, in all his humanity and inhumanity, as well as a thrilling recounting of a pivotal moment in Russian history – one that tipped their society into repression and terror for the next seven decades. Around 85 per cent of the Russian population were peasants, the muzhiks, who were still essentially without civil rights at all, though some advances in their legal status had been made since the abolition of serfdom in 1861. On the whole they showed no interest in politics beyond a grudging acceptance of their lot; the regime felt no need to take any notice of their thoughts whatsoever. The young Lenin might easily have gone down a different path than that of the revolutionary. He was born into a comfortable rural home, the son of a civil servant loyal to the tsar but with faith in gradual reform – “the kind of well-meaning bourgeois that his son would come to despise more bitterly than he did a diehard reactionary.” He took to his studies, achieving perfect marks in every course, and mastering several European languages. He was seldom seen without a book in his hand, even when walking to school, and became an early master of the game of chess, capable of beating not only adults but multiple opponents at once. The climactic events of his youth both came in 1886, when he was just 15 years old: first, his father died of a brain haemorrhage; next, his older brother, who had adopted an increasingly revolutionary fervor in university, was arrested, tried and executed for his role in an assassination plot. Almost immediately, his respectable little hamlet ostracized his family, viewing all of them as tainted. Lenin continued to ace his coursework, graduating with top marks, but his private reading veered towards his deceased brother’s collection of radicals and revolutionaries. Barred from the country’s best universities because of his relationship to his brother, he chose instead to attend law school, but his extracurricular activities amongst revolutionary circles earned him a rapid expulsion. 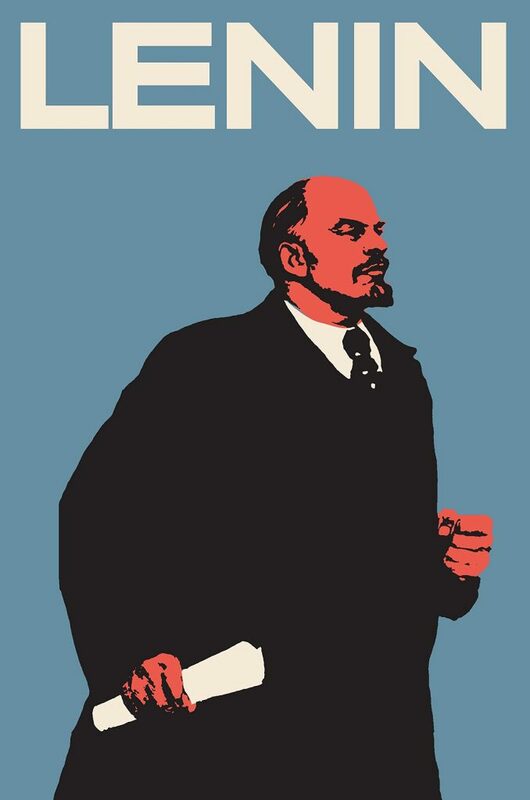 Already as a teenager, the young Lenin is fanatical and single-minded, his destiny evident to him, and yet his mother – determined that her son should not live as a farmer or peasant – persuades him to take the law exams as an external student as St. Petersburg University. In a testament to his intelligence and potential, he “crammed a four-year course into twelve months and passed top of his year, obtaining the highest marks in all fourteen papers.” But this was the last time he would devote himself to anything other than revolution. The bulk of Lenin’s adult life was spent abroad, in an attempt to evade capture by the tsar’s security apparatus. He lived, at various times, in France, England, Switzerland, Poland and Germany, but he kept in close contact with revolutionary groups within Russia, and was one of the most tireless theoreticians of the revolution, penning thousands of articles and opinion pieces in various newspapers. One of the newspapers he founded, Pravda (Russian for “truth,” but history has given it a different connotation), became the official paper of the Communist Party, though in its early days it was a constant target of tsarist censorship: “In its first thirty-eight issues, Pravda had a succession of thirty-six editors, all of whom where arrested. Between them they spent forty-seven months in jail.” When he wasn’t writing articles, he was relentlessly fund-raising, using legal and illegal means. The legal means involved petitioning Russian oligarchs and members of the intelligentsia – the very people who had the most to lose in the event of a Marxist revolution, and incredibly, these wealthy stooges were a reliable source of income. Leonid Krasin, the Bolshevik’s finance man, put it this way: “[I]t became fashionable to do so, and if it helped their consciences, we didn’t mind the help.” (I couldn’t help but recall Tom Wolfe’s Radical Chic, in which wealthy Manhattanites hosted fund-raising galas for similar radical groups in the vaulted ceilings of their Park Avenue penthouses.) But other methods of procuring funds were more radical, and a good deal more sinister: Lenin organized bank heists and stage coach hold-ups, and in a true testament of his ends-justify-the-means outlook, he enlisted one of his more handsome operatives to swindle a young Russian aristocrat out of her inheritance. “Everything that is done in the interests of the revolution is honest,” he told a friend. He practiced a kind of ruthless pragmatism, which precluded intellectual consistency of any kind. Lenin’s own brand of Marxism involved advocating one set of principles on one day, and a contradictory set on another. He would pen an article decrying the lack of a free press under the tsar, even as he told his confidants of the necessity of silencing dissent. Sebestyen’s biography does a marvelous job bringing these myriad contradictions to light while also conveying a sense of Lenin’s magnetism, his ability to inspire a sense of possibility in his acolytes. It also excavates from a lost history the important role that women – his mother, his wife and his mistress – played in his life, and in the Revolution. With the great majority of his male contemporaries, Lenin was standoffish, but with the women closest to him he could relax and reveal his more human side, and so it is of special interest to readers that their perspective of him be rescued. Finally, and perhaps most importantly, Sebesyten manages to weave all of this information into a compelling narrative, mining this immensely important period of history to vivid and dramatic effect. He began this book out of a conviction that 19th century Russia had important lessons for the 21st century West; he ends the book by proving himself correct.